Mike Arner pitched well for the first five innings of this July 1990 game, The Sarasota Herald-Tribune wrote. He also only gave up two hits. But, in the sixth, he gave up four consecutive hits, losing a 3-0 lead on the Baseball City Royals. "I don't know what happened," Arner's Charlotte Manager Bobby Jones told The Herald-Tribune afterward. "I don't know if he (Arner) got tired out there or not. But he was hitting spots and he pitched pretty well." Arner was in his second professional season in 1990, playing at high-A Charlotte. He went on to see time at AA Tulsa and AAA Oklahoma City in 1992. But Arner would never see time in the majors. 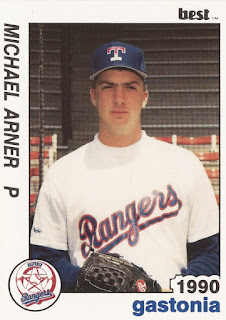 Arner's career began in 1989, taken in the 13th round by the Rangers out of high school. He played that season at the Rangers' rookie league team in the Gulf Coast League. He also went 7-0 with a 1.71 ERA. The next year, Arner moved to single-A Gastonia. In 14 starts there, Arner went 8-2 with an ERA of 2.03. He also earned a promotion to high-A Charlotte. At Charlotte, Arner went 3-3 with a 2.97 ERA, including a no-decision in that Baseball City game. Arner returned to Charlotte for 1991, Arner went 8-8 with a 3.17 ERA. He got one of his losses in an April game. Arner went four innings, giving up two runs before hitting his pitch count, The Herald Tribune wrote. "He walked the leadoff man in two innings, and fell behind a number of hitters," Charlotte Manager Bobby Molinaro told The Herald-Tribune, "but they didn't hit him at all." Arner got another one of his losses in an August game, giving up three runs in two innings. By 1992, the starter was now a reliever. He was also moving up. At Charlotte in May, Arner got a win in relief with 3.2 innings of one-hit ball. He also made AA Tulsa and AAA Oklahoma City that year. At Tulsa, he posted a 3.54 ERA in 15 appearances. At Oklahoma City, Arner appeared in four games, starting three. He went 2-1 with a 6.55 ERA. 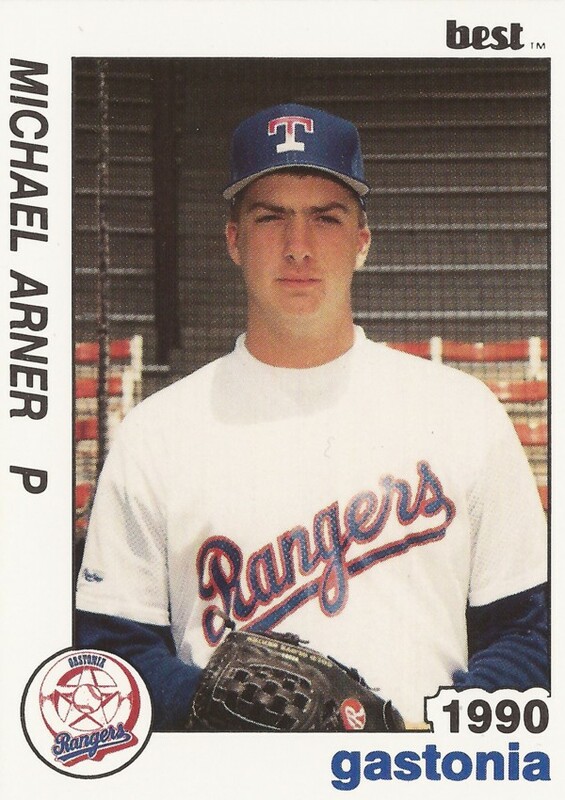 Arner returned to Tulsa for 1993, his last year in affiliated ball. In spring 1995, he signed with the Blue Jays for replacement ball. In 1997, he was playing at independent Canton. At Canton, Arner had a performance remembered by The Washington (Pa.) Observer-Reporter. In the Frontier League playoffs, Arner pitched a complete-game shutout, over 14 innings. Since 1997, Arner has coached with the independent Sioux Falls Canaries and for the Rockies at single-A Asheville. In 2009, Arner still coaching, in high school at Tampa's Plant High.